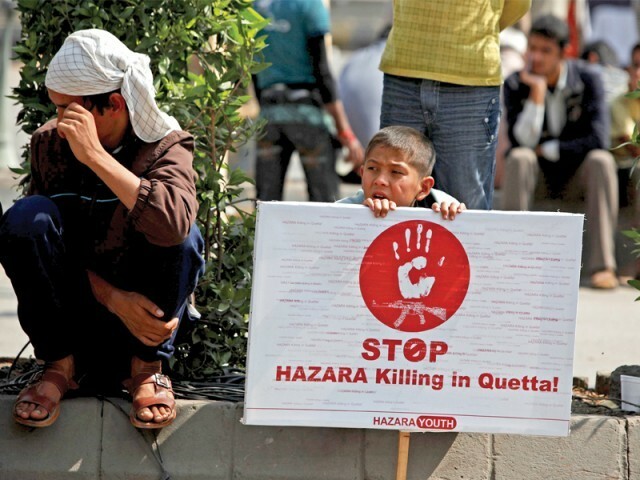 At least 509 Hazaraz were killed and 627 were injured in terror-related incidents in Quetta during the last five years, said a report of the National Commission for Human Rights (NCHR) on Monday. The report titled ‘Understanding the Agonies of Ethnic Hazaraz’ based on the data shared by the Balochistan home department lists the incidents of attacks on the Hazara community from January 2012 to Dec 2017. However, regional head of Hazara Democratic Party (HDP) contradicts the NHCR report, saying the actual figure is much higher than the one quoted in the report. “More than 200 Hazaraz were killed only in two suicide attacks in this period,” Bostan Ali Kishmand said. According to the NHCR report, suicide attacks, targeted killings, and bomb blasts have adversely affected the daily life, education, and business activities of the ethnic community in Quetta. Target killings forced Hazara students to abandon their education, an NHCR official said. Regarding the security of the community, the report, however, mentions that 19 platoons of Frontier Corps were deployed at Marri Abad and Hazara Town—the areas where Hazara community largely reside— for the protection of the community. Moreover, law enforcement officials continue to provide security to thousands of Shia pilgrims travelling from Quetta to Taftan in the aftermath of repeated acts of terrorism, read the NCHR report. The report ruled out any conflict of the community with Baloch and Pashtun communities in the region. It quoted a National Party senator, Kabir Muhammad Shahi, saying that “there has been no issue of Balochs or Pashtuns with Hazaraz in Balochistan”. Similarly, the report also quoted Pakhtunkhwa Milli Awami Party (PkMAP) Senator Usman Kakar, who said, Pashtuns have always helped the Hazara community and would do continue to do so. The report highlighted the role of media towards the persecution of the Hazara community in Balochistan. The respondents in the report said that international media is more supportive rather than national media.